The Center assists approximately 700 older adults on a daily basis. Your membership entitles you to classes, clubs, events, programs and use of our 53,000 square foot facility. Our facility includes an art gallery, the Audubon Cafe, a billiard room, a card room, a gift shop, a library and weight room. Application must be submitted in person at Center. Please see How to Become a Member. Please contact Tammy Jacobs for an appointment or with any membership questions at 636-3055, ext. 3172 or at tjacobs@amherst.ny.us. We have over 80 classes offered several times a year. Classes cover many topics: Academic Studies, The Arts, Cards, Dance, Home Arts, Music, Physical Fitness, Yoga, Technology, and many more. We even offer evening classes. Please see Class Catalog for more information. If you need further class information, please contact Cindy Weiss at 636-3055, ext. 3109. There are over 40 member only clubs within the Center. Each Club is led by a fellow member. To join a club, you can either attend a meeting or call the Club Leader. Please see Clubs. You are never to old (or too young) to take part in activities that can enrich your physical, mental and emotional well-being. The Center offers over 50 special events during any one month at the Center. Please see Network Newsletter for details. The Center welcomes members of the LGBTQ community and hosts a monthly Silver Pride Tea to meet and discuss specific topics of interest. Please see Network Newsletter for details. The Town of Amherst Center for Senior Services is a human service agency serving the community’s older residents and their families. The Department’s mission is to foster the physical and mental well-being of senior citizens by providing educational and recreational activities, nutritional, health-related, social and support services, and opportunities for volunteerism. The Department is an advocate for senior citizens and seeks to promote and sustain independence or optimal level of well-being. This new and exciting program encourages moderate physical activity to help improve balance, mobility, and strength. Each class provides range of motion movements, endurance activities, balance training, resistance work, and a fun obstacle course. Learn how functional fitness exercises can help in everyday activities. Instructor is Jill Bronsky who is a bestselling author and owner of Forward Fitness, Inc. 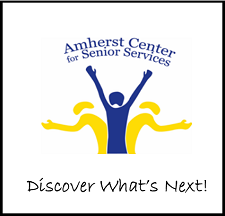 The class fee is $25 for all 12 weeks and registration is for members of the Amherst Center for Senior Services. 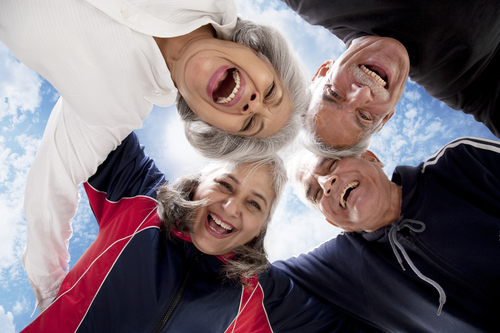 Join a club and enjoy time with people with the same interests. May Dinner Club goes to Fairdale. Check out all the special lunches in April; Bison's Opening Day, Breakfast for Lunch, Easter, and Dyngus Day! Join one of our 40 clubs in 2019!